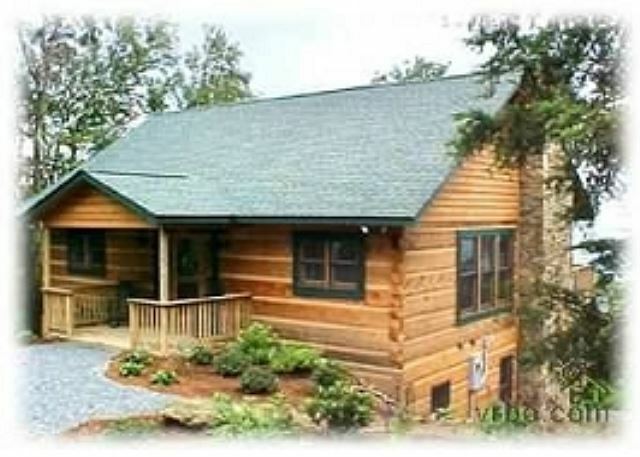 Just a stone's throw from the Village of Blowing Rock this exquisite three bedroom, two-and-one half bath cabin provides a relaxing atmosphere for up to eight guests. The spacious dining area and gourmet kitchen lead into the open great room with wood burning fireplace. 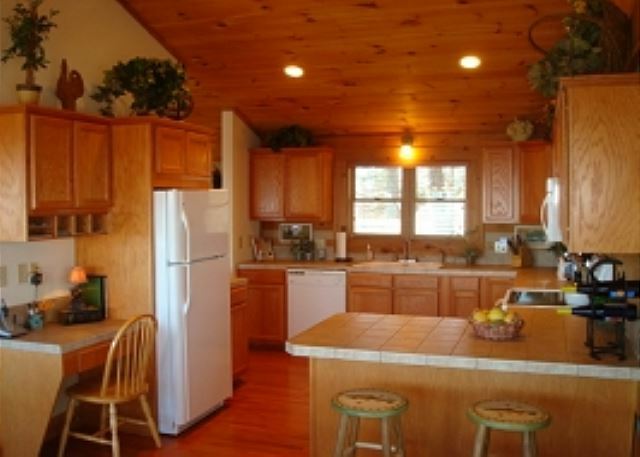 Large windows and private decks offer spectacular views. 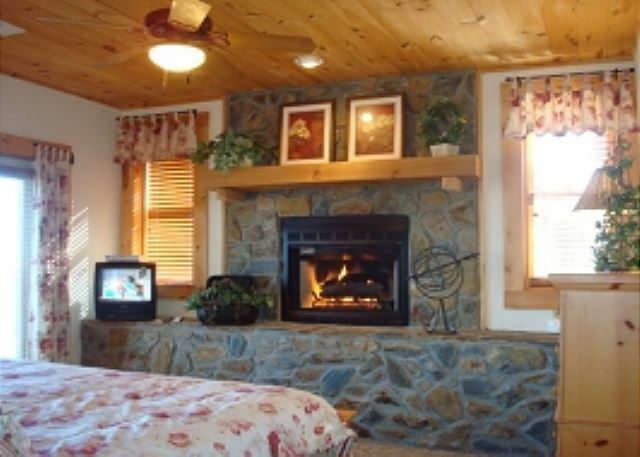 The master bedroom has a king size bed, en suite bath, gas log stone fireplace and a mountain view. 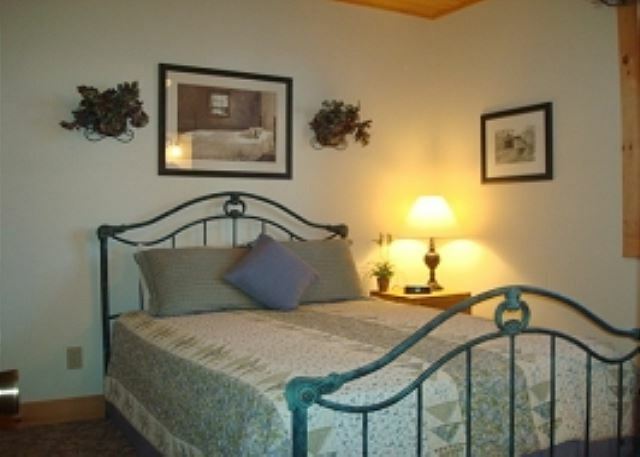 The second and third bedrooms both have queen size beds and share a bath. 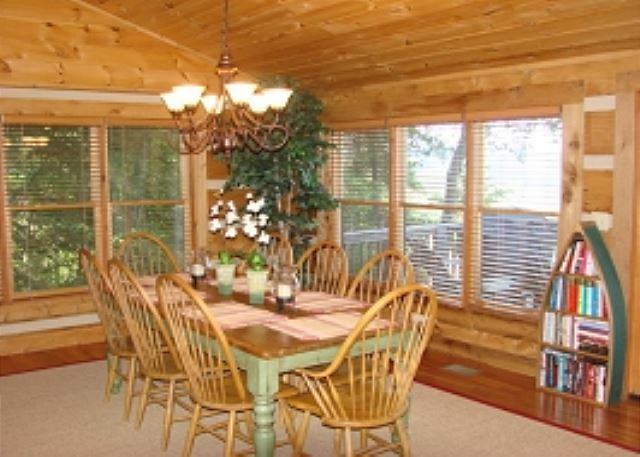 The covered front porch has rocking chairs and overlooks the landscaped yard. 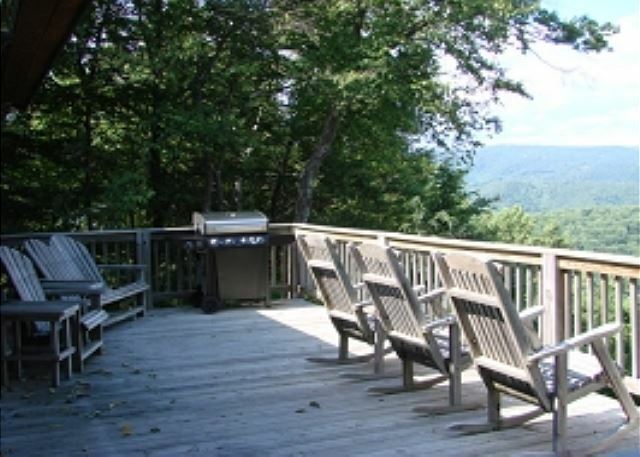 The view from the back deck is stunning, let this peaceful setting and breathtaking view work it's magic. No smoking/ No pets, please. Cabin does not have air conditioning. It was. Great trip. The house was divine. Loved the floor plan. Only 2 negatives was the road and driveway (but I was warned) and the dead mouse under the bed...phew ! Positives: Thew view is as spectacular as the pictures, as good as it gets unless you prefer sunsets to sunrise. 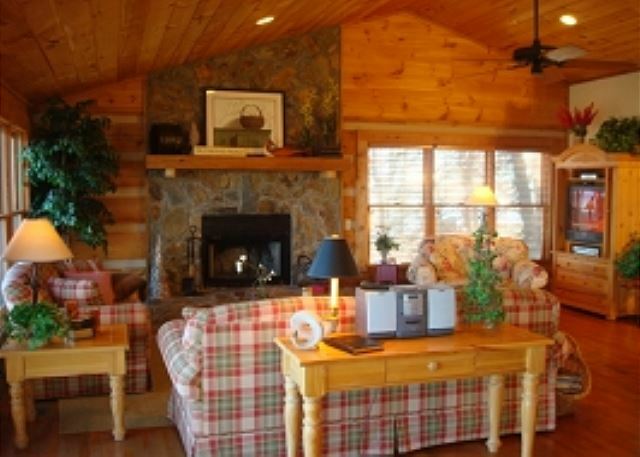 This is a very nice cabin. It sits on the very top of a mountain and is very private. The upstairs is very open and great for social activity with a very large TV. The address says Lenoir but the turnoff is about 2 miles past the road that goes to the blowing rock attraction, a 10 minute drive into the middle of Blowing Rock town. We would stay here again.